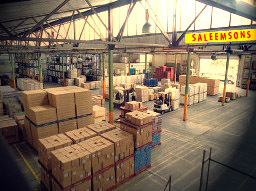 In keeping with the growing trend, diversification into warehousing has certainly helped Saleemsons to achieve its objectives in offering its customers a complete solution in logistics. Saleemsons operates a large volume warehousing complex . Its focus has been to ensure safe storage,speedy handling and accurate inventory control at competitive rates.